This past year, we’ve lost many of the civil engineers who helped shape our world. Teaching icons, innovative thinkers, and leaders whose creativity and dedication to the profession will be greatly missed. ASCE says goodbye to the legends of the engineering community and members of the Society who passed away in 2014. Harl P. Aldrich, Jr., P.E. Sc.D., Dist.M.ASCE, NAE, co-founder of the Boston, Massachusetts–based consulting engineering firm Haley & Aldrich, Inc., and a true pioneer and visionary, contributing over 35 years to the development of the field of geotechnical engineering in New England, passed away November 24 at the age of 91. Ted Belytschko, Ph.D., M.ASCE, a world-renowned computational mechanician whose innovative and fundamental contributions to solid mechanics have helped solve previously intractable engineering problems, passed away on September 15 at the age of 71. Daniel A. Cuoco, P.E., F.ASCE, former president and CEO of Thornton Tomasetti, Inc., who led the World Trade Center structural engineering disaster response team in the assessment of buildings in the immediate collapse area following the terrorist attack on September 11, 2001, passed away on September 21 at the age of 68. Elvidio Olavo Vidalito Bernardino Diniz, P.E., D.WRE, M.ASCE, ASCE Region 6 governor and principal engineer at Albuquerque, New Mexico–based EVD LLC, passed away on September 5 at the age of 68. Col. Jackson Emelius Gilleland, P.E., L.S., M.ASCE, longtime chief of Power Supply Planning, director of Power Resource Planning, and assistant manager of Power for the Tennessee Valley Authority (TVA), passed away on February 4 at the age of 96. Louis L. Guy, Jr., P.E., F.ASCE, who was awarded ASCE’s Edmund Friedman Professional Recognition Award in 1992 for “contributing substantially to the status of the engineering profession by establishing a reputation for professional service,” passed away on May 8 at the age of 76. Lt. Col. William Thomas Johnson Jr., USAF (Ret. ), D.Eng., P.E., M.ASCE, a veteran of World War II, the Korean War, and Vietnam, who was involved in the construction of many of the prominent buildings in San Antonio, Texas, passed away on August 28 at the age of 86. Stanley D. Lindsey, Ph.D., M.ASCE, a pioneer in the use of computers for the analysis and design of structures and one of the first engineers to integrate computer-aided design with drafting, passed away on July 12 at his farm in Bluffton, South Carolina, at the age of 75. Carolyn J. Merry, Ph.D., M.ASCE, faculty emeritus and past chair of the Department of Civil, Environmental and Geodetic Engineering at Ohio State University (OSU), tragically passed away when her car was involved in a crash with two tractor-trailers on I-71 in Madison County, Ohio, early on the morning of June 4; she was 63. Lt. Col. Roger Martin “Marty” Millar, P.E., F.ASCE, who while serving in the First Engineer Battalion of the First Infantry Division during the Vietnam War earned no less than 14 medals for heroism in combat, passed away in his home in Germantown, Tennessee, on March 22, 2014, at the age of 81. Paul R. Munger, Ph.D., P.E., F.ASCE, who as chair of the Missouri Board for Architects, Professional Engineers and Land Surveyors was involved in the investigation of the 1981 collapse of the Hyatt Regency skywalks in Kansas City, one of the deadliest structural failures in U.S. history, passed away on April 19 at the age of 82. Arthur H. Nilson, P.E., M.ASCE, founding member and past chairman of ASCE’s Committee on Finite Element Analysis of Reinforced Concrete Structures, passed away at his home in Cape Cod, Massachusetts, on February 26, at the age of 87. Douglas G. Price, F.ASCE, who was a key project leader on the 23-year, $1 billion-plus hydroelectric project in Australia known as the Snowy Mountains Scheme, and the first CEO and managing director of the Snowy Mountains Engineering Co., died on July 10 at the age of 87. Russell Porter, P.E., LEED AP, M.ASCE, ASCE’s Region 1 governor, and the Rochester Section’s State and Regional Affairs Committee chair, passed away after a courageous battle with cancer on July 31, at the age of 62. Joseph N. Rizzi, Jr., P.E., F.ASCE, a World War II veteran who served as vice-president and principal of Hazen and Sawyer, an environmental engineering consulting firm, passed away on March 30 at the age of 89. Charles Gerald “Chuck” Salmon, Hon.M.ASCE, a well-respected and distinguished emeritus professor of civil and environmental engineering at the University of Wisconsin-Madison (UW-Madison) and author/co-author of a number of widely used textbooks on the subjects of concrete design, steel structures, and structural analysis, passed away on April 28 at the age of 83. 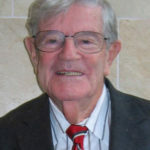 Thorndike Saville, Jr., P.E., F.ASCE, considered to be one of the giants in coastal engineering for his research on wave hindcasting and the development of wave statistics leading to wave forecasting and wave inshore processes, including overtopping and run-up and beach sediment transport, passed away on November 5 at the age of 89. Daniel “Dan” Henry Schubert, P.E., M.ASCE, senior vice-president at Anchorage, Alaska–headquartered GV Jones & Associates, Inc., and a recognized international arctic engineering expert, passed away on September 16 while hiking with friends along the coast of Wales, Great Britain; he was 64. Ernest “Ernie” Thomas Smerdon, Ph.D., P.E., NAE, Dist.M.ASCE, who dedicated his life to the continued improvement of higher education and engineering, and who pioneered research to address critical global issues in the areas of water resources and the environment, passed away on August 11 at the age 84. Craig Elliott Taylor, Ph.D., Aff.M.ASCE, who left an impressive legacy in promoting new methods and ideas in multihazard disaster risk management, passed away in May at the age of 68. Guy Spencer Vissing, P.E., F.ASCE, senior project manager at the U.S. Nuclear Regulatory Commission (NRC) for over 30 years, passed away on September 12 at the age of 90.